A video is a recording, shot with a video camera, of moving visual images; a movie is a video that tells a story or documents an event. A video clip is a contiguous recording of a particular scene. 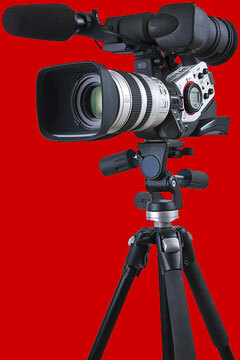 Video clips can be edited and combined to create a complete video production. Today, videos are usually recorded digitally; modern digital camcorders and digital video editing software have greatly facilitated the video production process. Video clips that illustrate activities, concepts, locations, or processes are an important component of many Zeducorp websites. For instance, a video may depict someone engaging in a recreational activity, express an abstract idea via animation, pan across a city skyline, or demonstrate some manufacturing process. Each video clip has been carefully recorded or selected to complement the text and still images of the web page on which it is placed. Our remaining video assets have not been classified into video portfolios.